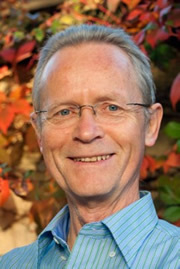 Eric Harrison established Perth Meditation Centre in 1987 and has since taught 40,000 people how to meditate through courses and workshops. Registrations are open for workshops on 11 May, 22 June and 24 August. His teaching style is rational, practical and free of spiritual or New Age ideas. He offers a range of meditations for relaxation and mental control which he likes his students to adapt to their own purposes. Nearly half his students are referrals from doctors or psychologists and he also works extensively in the corporate world. He has also trained nearly 400 people as meditation teachers. The Mindfulness Workshops run on Saturdays, once a month, from 9 am to 3 pm. The cost is $240 or $160 concession. The fee includes a copy of the textbook The 5-Minute Meditator which will be sent to you in advance when you enrol. There are also Mindfulness Teacher Training workshops in July and November 2019. The workshops all take place in Subiaco. The 5-Minute Meditator contains 42 long and short exercises, and it particularly emphasises the value of meditating ‘on the spot’, whenever you can. See the chapters on the right-hand side of this page. Gift vouchers are available and books and CDs can be purchased separately. Eric’s latest book, The Foundations of Mindfulness, is a commentary and a fresh translation of the Buddha’s original DIY text on the subject. 2500 years on, this text is still the most lucid and comprehensive explanation of mindfulness available to us. It contains 13 training exercises for observing the body, emotions, states of mind and thought which can easily be adapted to our 21st Century requirements. Because the standard translation is indecipherable to non-experts, modern mindfulness relies more on the Zen practice of ‘Just Sitting, not Thinking’, and knows little about the Buddha’s more sophisticated approach. The fully revised second edition of this book came out in New York in May 2017. It can now be ordered through Amazon, Book Depository and local bookshops. There are a few chapters of this book on the right-hand side of this page.